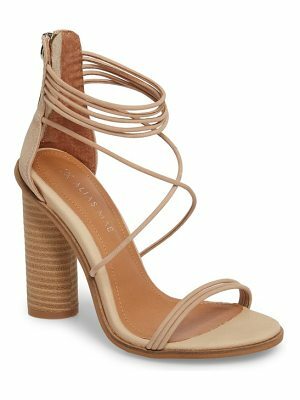 Slim leather straps compose these refined Giuseppe Zanotti sandals. Hidden back zip. Covered stiletto heel and platform. Leather sole. Leather: Calfskin. Made in Italy. Measurements Heel: 4.75in / 120mm.